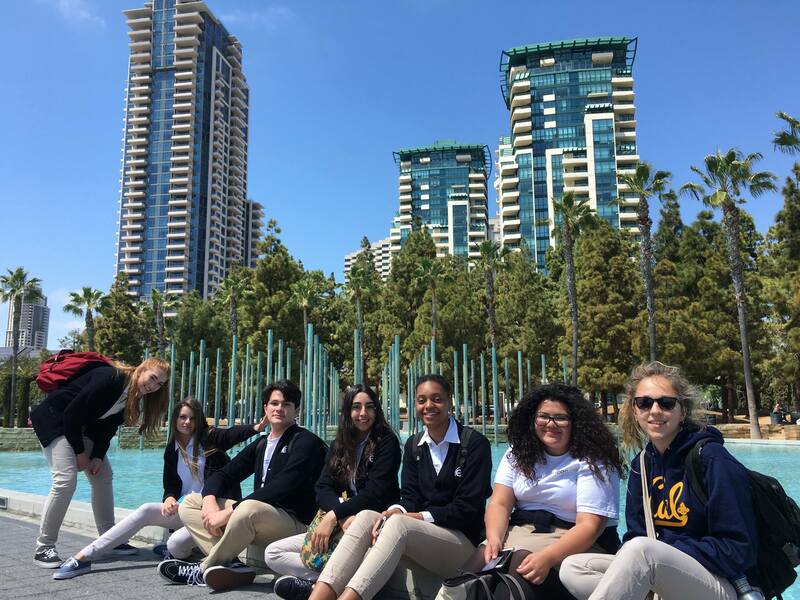 Most four-year-college-bound high school seniors in San Diego have received their admissions decisions and are now in the process of choosing what university to attend. There are also thousands of students, however, who may have found themselves in an unexpected situation — they’ve been waitlisted for their top choice school. There can be a lot of confusion with being waitlisted. Many assume they should just wait. After all, it’s called a waitlist. Fortunately, there are many proactive — and ethical — ways to increase a student’s likelihood of being accepted. The first step is to decide if this school is still the student’s top choice and if they want to remain on the waitlist. Something to consider is that since the student is notified later than other students of acceptance, housing and financial aid options may be more limited. That said, students who are committed to attending their top college, where they were waitlisted, should formally accept the offer and then make an action plan to maximize their chances of being selected. The second step is to understand and accept what a waitlist really is. Generally speaking, students on a waitlist are not ranked for an order of acceptance. There are many reasons for this, but one is that universities generally attempt to fulfill all of their seats for all of their programs. For example, a university has discovered it has 100 seats to offer on the waitlist — 75 of those seats are for the arts and sciences and the other 25 are for business. In this scenario, virtually nobody on the waitlist for engineering or math would be accepted, but a good number in the arts and sciences would. Additionally, admissions offices may or may not determine that they need to draw from the waitlist strategically taking into account students’ majors, regions, talents, gender, or racial and ethnic background. These things are out of a student’s hands. Colleges accept more applications than they have spots for based on their past yield rate, which is the percentage of students who accept admissions offers. The smaller the school and the higher the yield, the fewer spots can be drawn from the waitlist. Last year, Harvard accepted about 2,000 students to fill just over 1,650 spots in its freshman class. With an 82% yield, they were able to take 63 students from the waitlist. While Harvard does not disclose the size of its waitlist, Yale, Princeton, and Stanford typically have waitlists between 1,000-1,500 students. It’s important to remember that every year, there are schools that are not able to accept anyone from the waitlist because their yield was higher than anticipated. The third step is to commit to another university by the May 1 deadline. The large majority of students that get admitted from the waitlist do not find out until after decision day. Since there is no guarantee of admission, students must secure their seat at another school. In order to do this, the student must pay an intent-to-enroll deposit, which is usually nonrefundable. The last step is to create an action plan to show the student’s top choice school that they are still their No. 1 choice. Many of the factors that go into selecting students from the waitlist are completely out of the student’s control, but there are some aspects they may be able to influence. Many universities have different approaches to this process. Be sure to check with your specific university to see what they will and will not accept. It can vary from essays to interviews to a supplemental application form. Some universities ask that waitlisted students write an essay or letter when accepting their waitlist spot. This letter or essay should be positive and optimistic, offering new and/or specific information about why the student is a perfect fit for the school. It would be good to include any new accomplishments the student has made or any information that cannot already be found on the application. Remember, the student should try to offer more reasons as to why they should attend the school, not the same reasons the admissions officers have already seen. If applicable, students should mention that the school remains their top choice and, if admitted, they will attend. Some students send letters to the school with news about a jump in grades. Others submit letters about impactful projects they have started. A Southern California high school student on the MIT waitlist wrote to the admissions committee with news that she received the Athena Pinnacle Award. The new information about the student doesn’t need to be strictly academic. A local young man on the UC Berkeley waitlist wrote an essay about how he had just come out as gay and how it was important for him to be part of the vibrant LGBTQ community at Berkeley. He also listed classes he wanted to take, three LGBTQ organizations he wanted to become involved with, and what specific contributions he would make to campus life. There is a difference between offering new, relevant information and going overboard. Every year, YouTube is flooded with videos of well-intentioned high school students trying to get off the waitlist. One that went viral was a young woman serenading Harvard. It was sweet, but offered no substance. In another, a young woman made a music video of her putting on and taking off several dozen Yale shirts, which told admissions officers nothing more than this young woman owned a lot of Yale shirts. On the other hand, a young man made his way into the University of Michigan with an upbeat, clever song about exactly why he loved Michigan. Proceed on videos with caution. If you are a student on the waitlist of your top college, remember to congratulate yourself. A waitlist letter may be disappointing, but it also means that the admissions team thinks you would be a successful student at their college. Finally, continue to enlist the help of your high school counselor. They share in your hopes and dreams and are there to support you in every step of your journey to college. Whether or not you are selected from the waitlist, counselors know that going through this process will be a positive growth experience. In their experience, counselors have seen that students always seem to end up exactly where they are supposed to be. — Angelica Colon and Cynthia Couperus are college counselors at e3 Civic High, the public charter school inside the San Diego Central Library. Dr. Helen Griffith is the executive director of e3 Civic High.